Start with crafting a set of questions that are relevant from the wearable context. This will help you in identifying the best possible solutions and available wearable hardwares including API/SDK, development frameworks / platform and other effective measures for mobile app development. There are numerous tools and APIs that are available in the market including Android, Salesforce, Apple. Thus its important to choose the right platform depending upon the requirement. So, in-spite of having multiple versions for different devices and platforms, end users will prefer to have a single app that is easily with every device and gives prompt quick response. For having a successful wearable app, your app must be compatible. Due to its small size, wearable device has numerous challenges inducing difficulty in implementing various feature sets. Wearable app’s Design and User interface is also one of the key factors because the users interacts with the wearable gadgets in various manners. While building an app, designers focus should be towards streamlining the end user experience with the restricted physical visible space available. Wearable technology is still on the rising swing of the development phase, thus security concerns are anticipated. Since, Wearable tech devices can’t be connected to the Internet on their own and they require various synchronization or third party tools or functions to connect with the mobile apps available on the Internet-enabled devices. And, that’s why it has become the key concern for end user, who wants to purchase the wearable app. To meet the data security challenges, developers are required to accomplish all the required security concerns so that crucial and sensitive information can be protected. For any Wearable app “Ease of its use and mobility” is the key objective. Prior to development, the key step is to add a feature-rich set and functionalities that can add value to end-users. Developers are required to understand user’s requirements and make it real. Every back-n-forth we hear about the new wearables that are arriving in the market along-with the new technology. And, to sustain in this emerging market for long term success; meeting end user’s expectations and need, updating with the the latest technology is crucial. So, for developing market-centric wearable apps, developers are required to consider the future updates. Battery consumption is one of the key factors in every smart devices. Users are always looking for the apps that should consume less power and memory. Thus, while developing the wearable app, developer should customize the code in such a manner that it takes less memory and battery consumption; so that it performs more effectively. Users are looking for user-centric mobile solutions and businesses are looking for more efficient solutions. App’s performance is one of the key metrics to measure the success of wearable app, which can only be attained with robust testing. 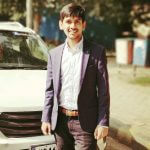 Presently, wearable devices are primarily connected with other devices, small screens with the restricted functionality that depends on another device. But have you ever thought that – What will happen if the connected device with wearables stops functioning properly? – This will create a lapse in efficiency. So, always remember that before publishing an app for wearable device it should undergo rigorous testing processes for all the possible functionalities and compatibilities with other devices. 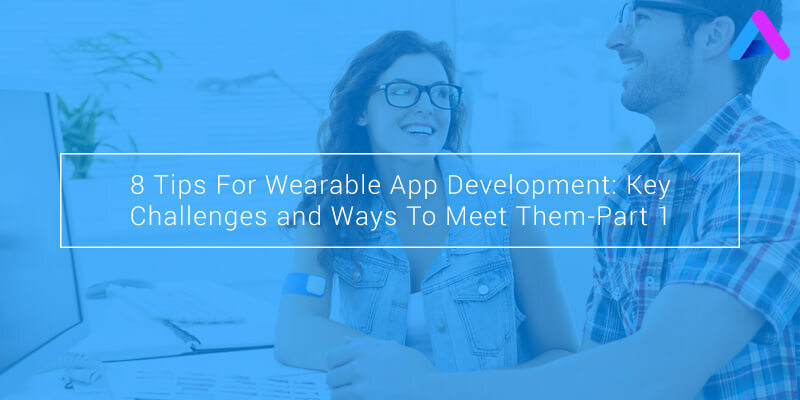 Part 2 of “8 Tips For Wearable App Development: Key Challenges and Ways To Meet Them”, which includes challenges of Wearable app development and how to meet them will be published in our next post.